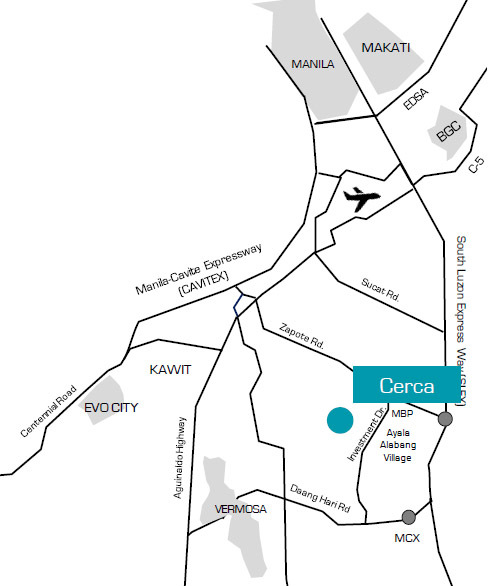 New views await you at Cerca Alabang, the newest Alveo Land development. 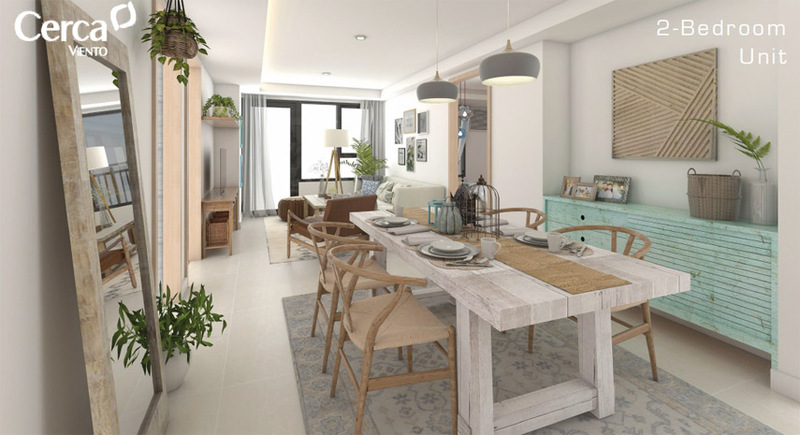 Situated along Investment Drive, adjacent to Madrigal Business Park, right by Ayala Alabang Village is a exclusive residential and leisure enclave where the highly regarded Alabang Hills Village and Ayala Southvale Village is also situated. 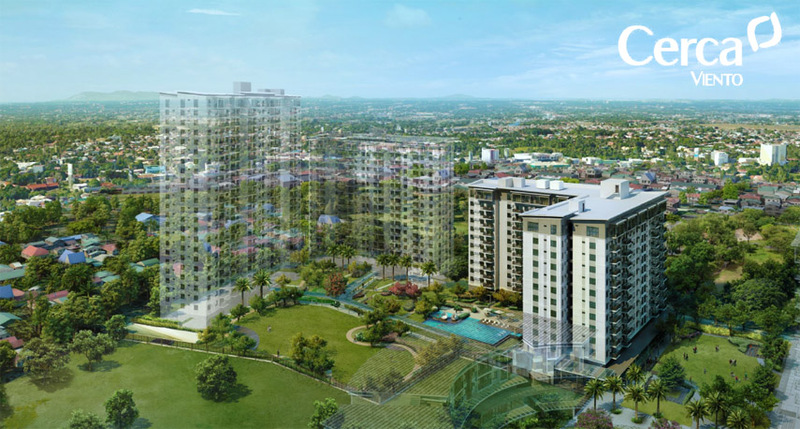 Cerca Alabang gives a new view on premier condo living. 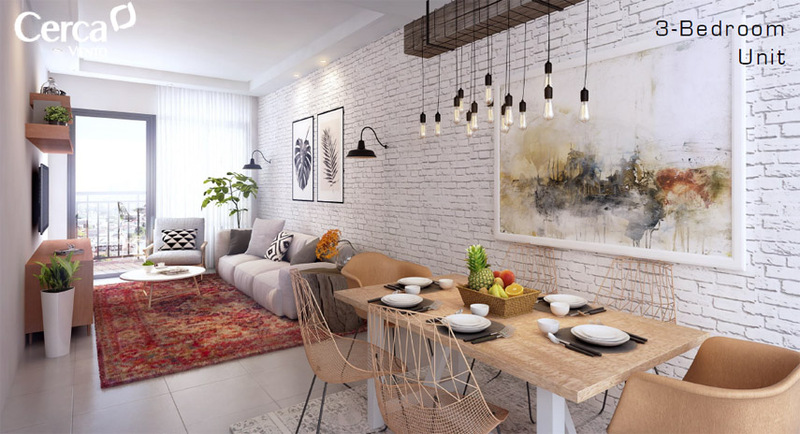 Cerca Alabang is a short walk from the city’s premier retail and entertainment hub and mall – giving residents an endless array of facilities and amenities for shopping. 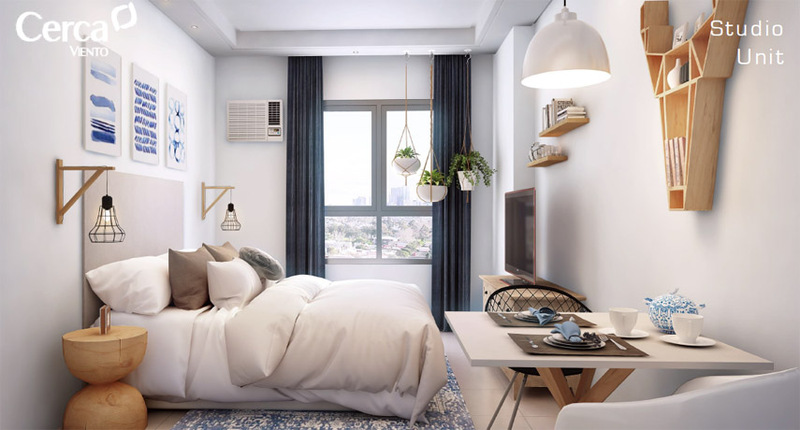 Cerca Alabang prime location in Muntinlupa City, assures unparalleled access to hospital and educational institutions and commercial centers, thus providing utmost convenience for you and your family. Leading commercial establishments such as Alabang Town Center, Westgate Center, and Molito Lifestyle Center. It is accessible as well to top notch universities in the country – San Beda College and De la Salle Zobel. Also, modern hospital like Asian Hospital is within easy reach. 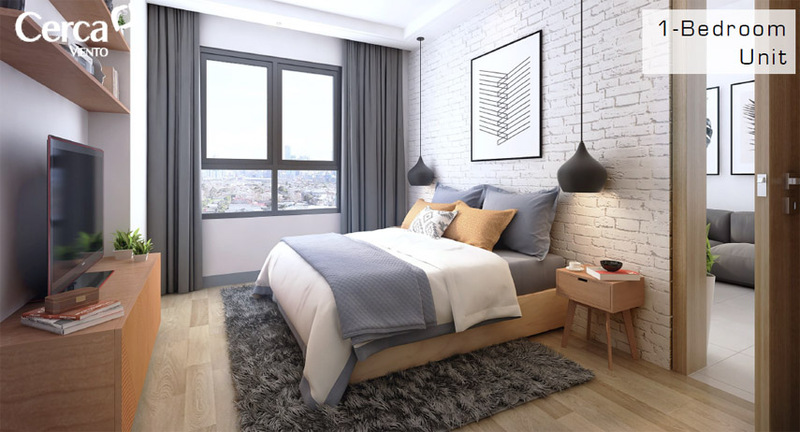 Meanwhile, Ortigas CBD, Makati CBD and BGC in the north as well as Southern part like Nuvali and Tagaytay are easily accessible through the EDSA and South Luzon Express Way. 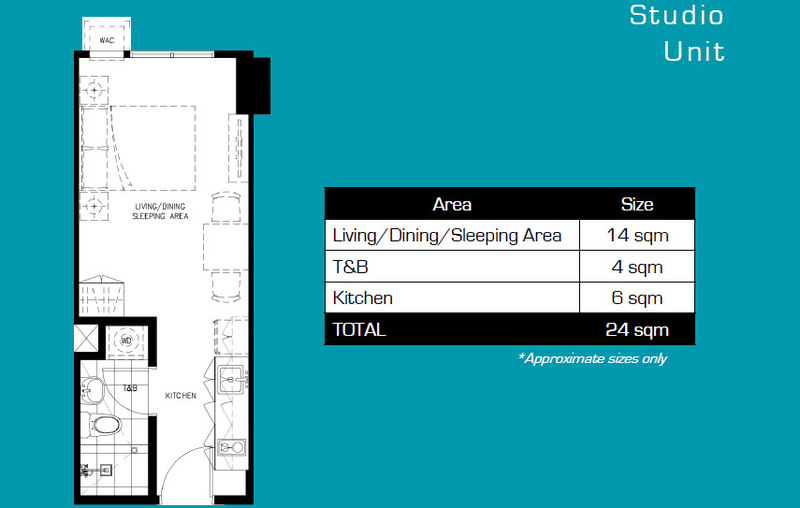 STUDIO UNIT – 24 SQMS. 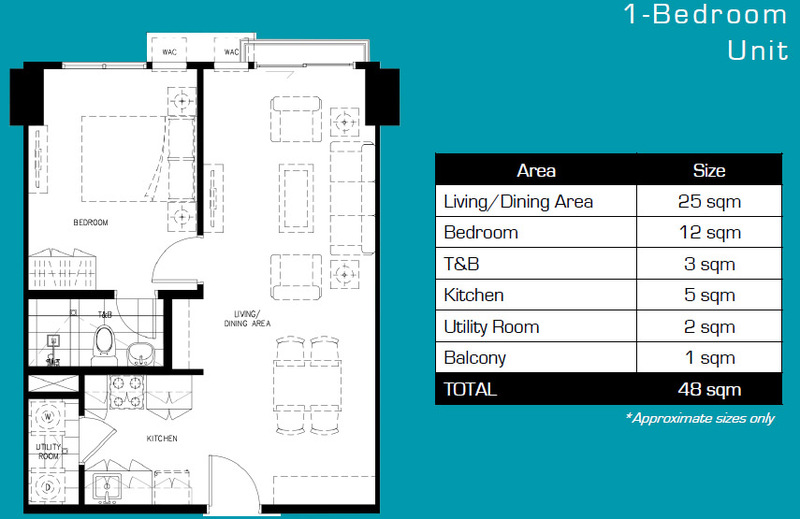 Floor Plan : 48 SQMS. 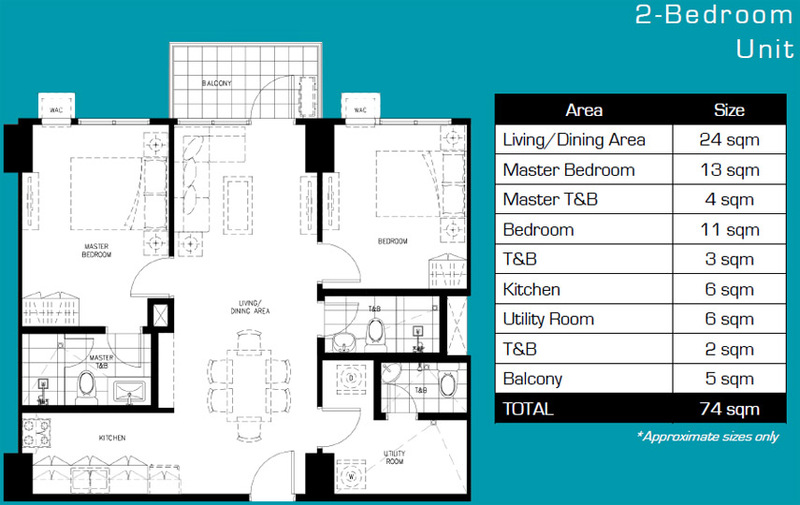 Floor Plan : 70 sqms. 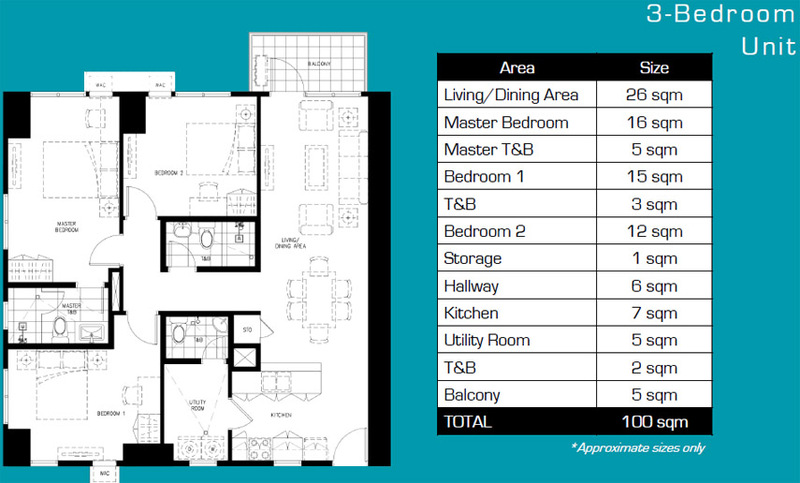 Floor Area : 100 sqms. After spending the day of work or study, you can come home to a place where every day is a vacation. Resort style amenities take center stage in Cerca Viento Alabang, giving you a selection of activities to do to unwind after a busy day. To make every bonding experience worthwhile, amenities such as the kiddie pool and the lap pool are positioned at the heart of the outdoor complex. Meanwhile, parents can enjoy their leisure time with amenities such as the Flower Garden, while watching their children run across the playground, as amenities are conveniently located adjacent each other. Nurturing the landscape are green, wide open spaces where families can relish into, while succumbing into the perfectly engineered amenities and facilities, all made in accordance to life’s passions.